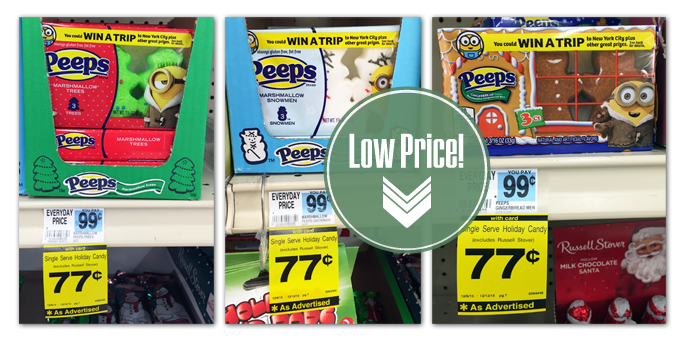 This week at Rite Aid, single serve holiday candy is on sale for $0.77. Buy three packages of three-count Peeps and use a new $1.00/3 printable coupon from the Rite Aid Facebook page. The final price is $0.44 per box! Total $1.31 or 44¢ each after coupon!